KINSHASA, Congo (AP) — Congo’s police dispersed a gathering Monday of supporters waiting to hear a speech by presidential runner-up Martin Fayulu, his spokeswoman said. Dozens of people gathered outside his coalition’s headquarters in Kinshasa before police arrived and canceled the event, said Eve Bazaiba. “Our headquarters (HQ) was besieged, our activists began to gather, we began to climb the podium on which our leader should speak, and the police came and took the podium and the speakers,” she said, adding that police had also blocked the entrance and exit gates at the headquarters. 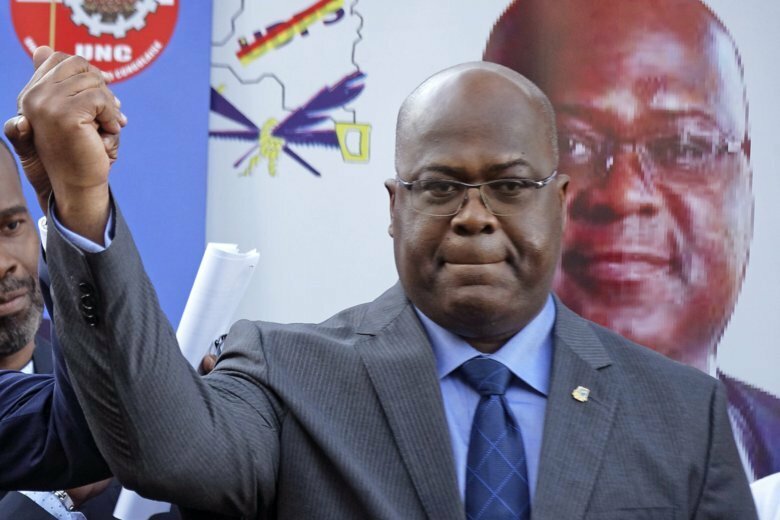 The Constitutional Court on early Sunday refused Fayulu’s request for a vote recount and reaffirmed the victory of Tshisekedi in the presidential race, saying he received 38 percent of the vote, while Fayulu received 34 percent. In his legal challenge, Fayulu said he won 60 percent of the vote according to leaked commission results. The 40,000-member Catholic Church observation mission also affirmed that results from polling stations showed that Fayulu was the clear winner. But the court said that Fayulu didn’t provide evidence proving his claim. “We want the truth of the polls, they stole Fayulu’s victory,” said Jacques Nzita, a Fayulu supporter who was outside his headquarters to hear him speak. Tshisekedi’s inauguration, which was planned for Tuesday, is now postponed, government spokesman Lambert Mende told The Associated Press. He didn’t give reasons for the delay, but said it will likely take place Thursday. France’s Foreign Ministry on Monday said it took note of the victory of Tshisekedi, as proclaimed Jan. 19 by the court, and said it would be represented by its ambassador at the inauguration. “This election permitted Congolese people to express with force and calm their desire for alteration. We hope that the new president will respond to it and call on him to continue the dialogue with all the actors in the country to achieve this,” the statement said. AP writer Carley Petesch in Dakar, Senegal contributed to this report.